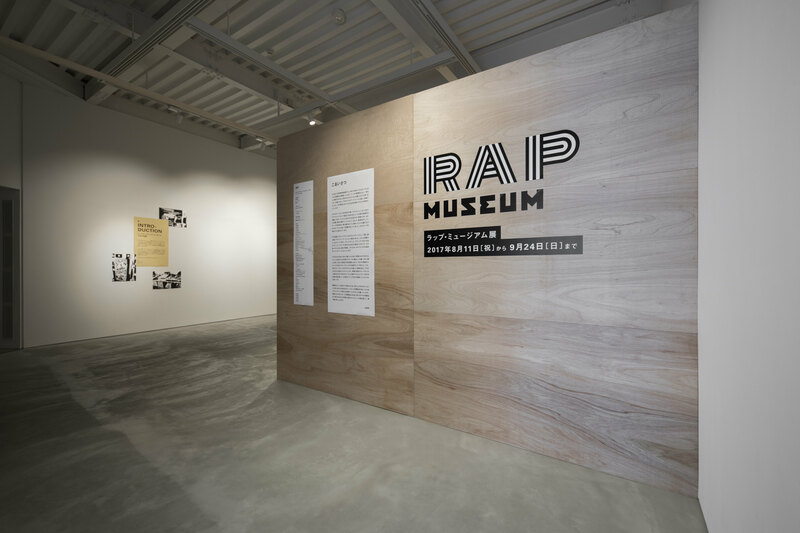 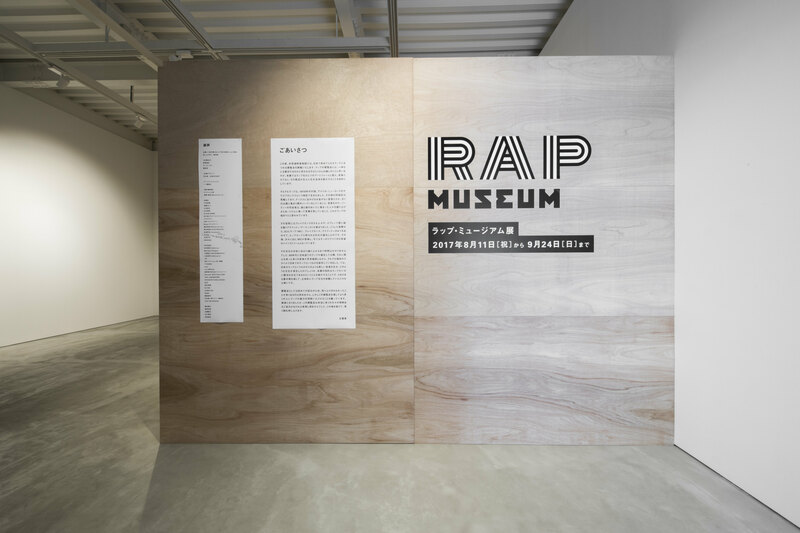 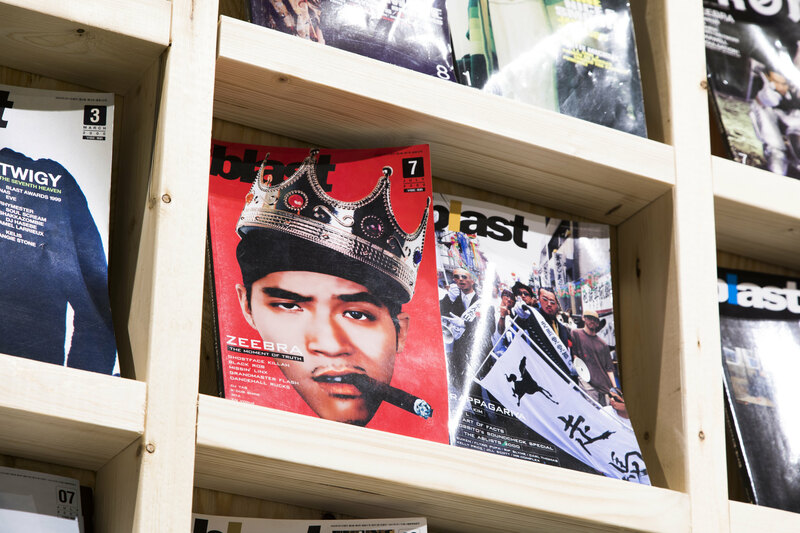 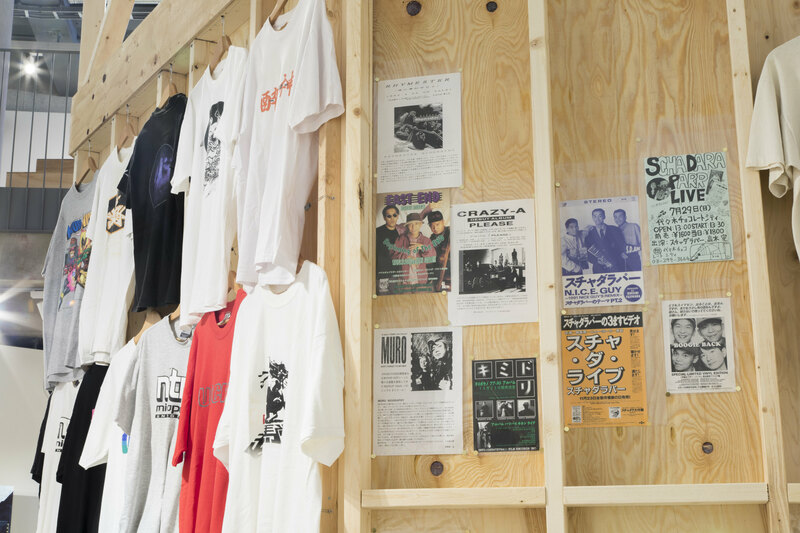 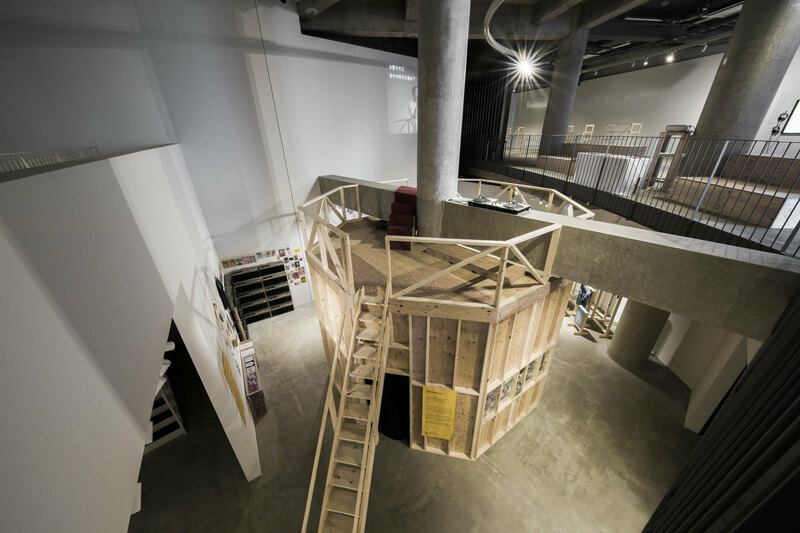 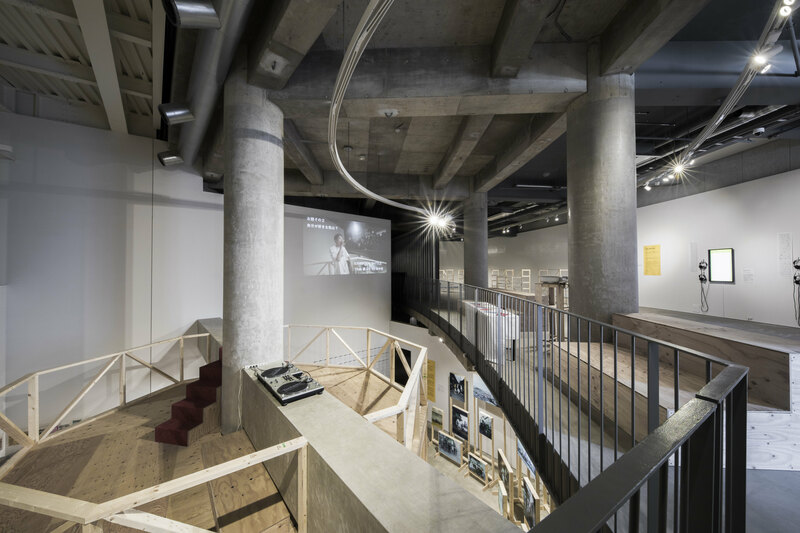 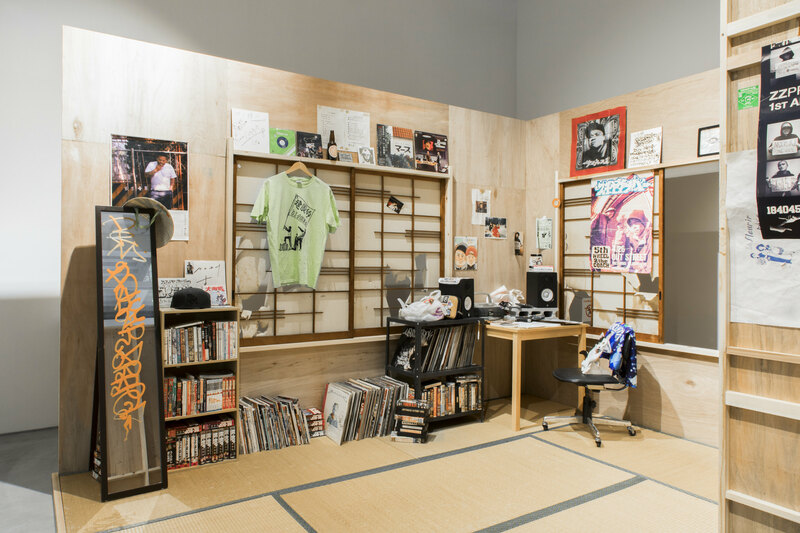 RAP MUSEUM is an exhibition introducing Japanese rap music and its history, serving as the first museum exhibition dedicated to this subject in Japan. 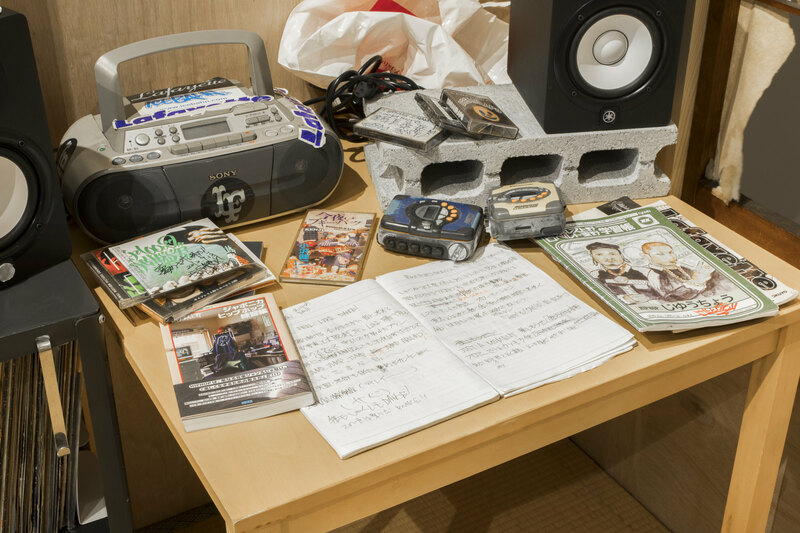 Rap music was born in Japan about 30 years ago. 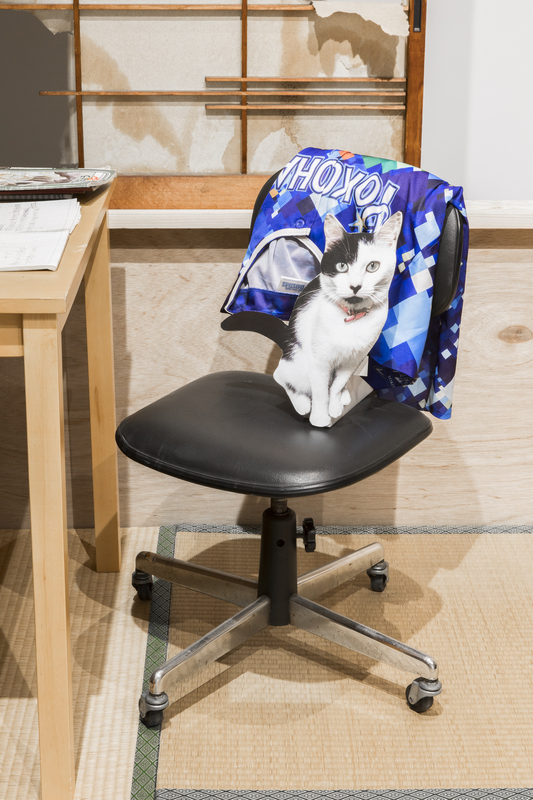 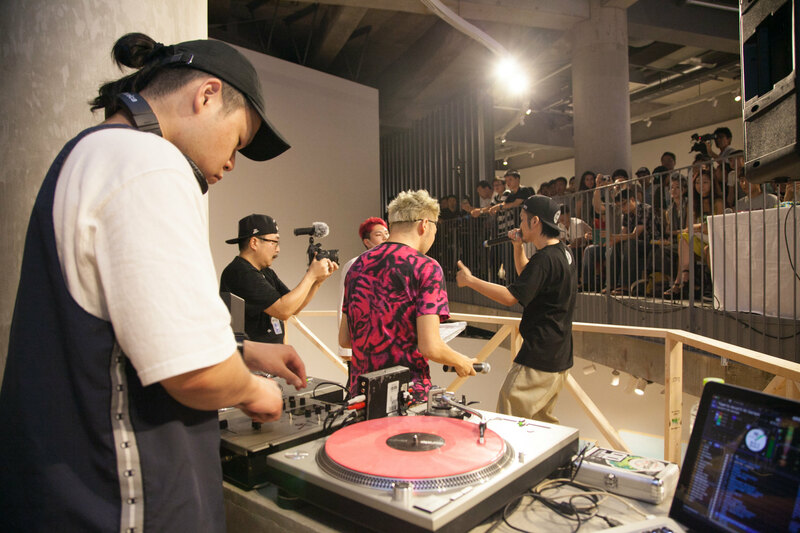 Ever since the birth of Japanese rap, it has always evolved and expanded vibrantly. 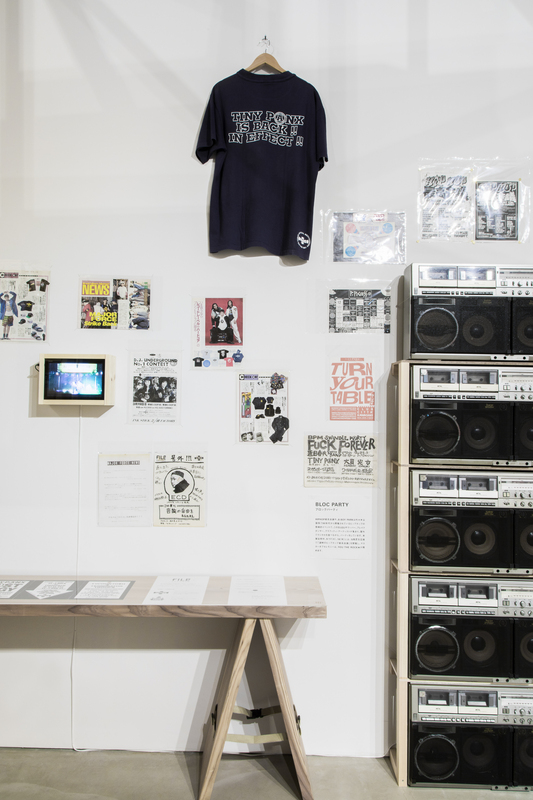 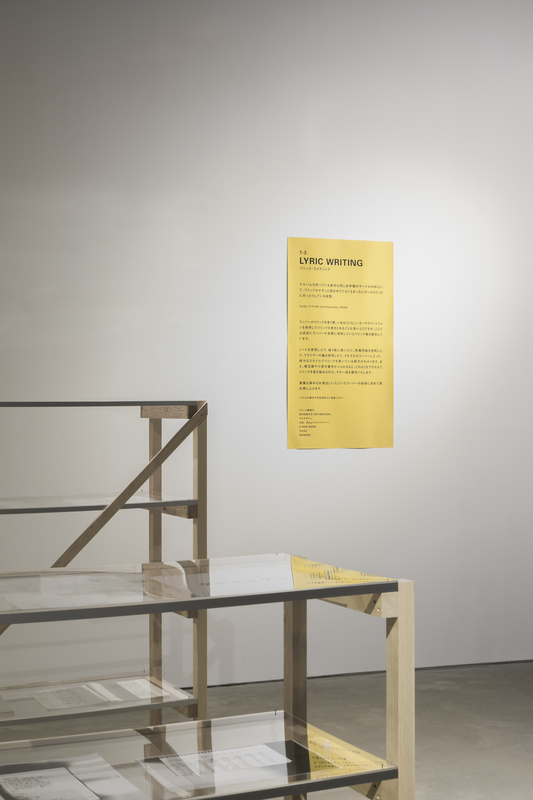 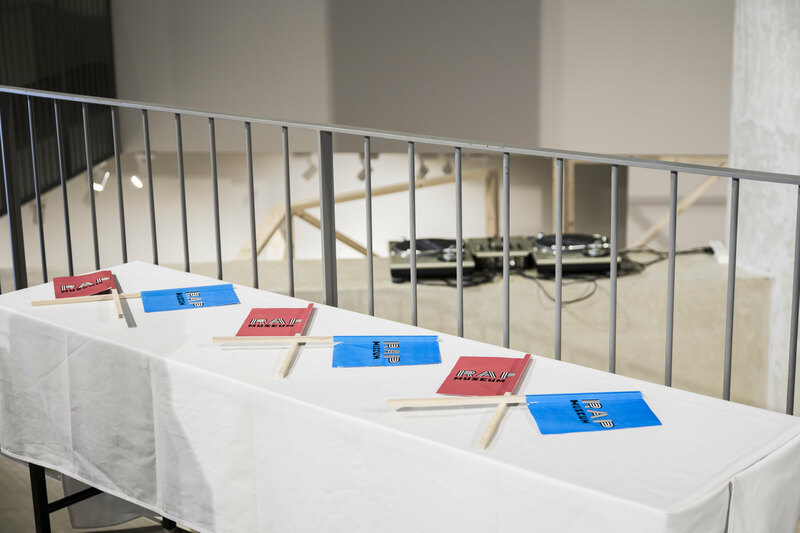 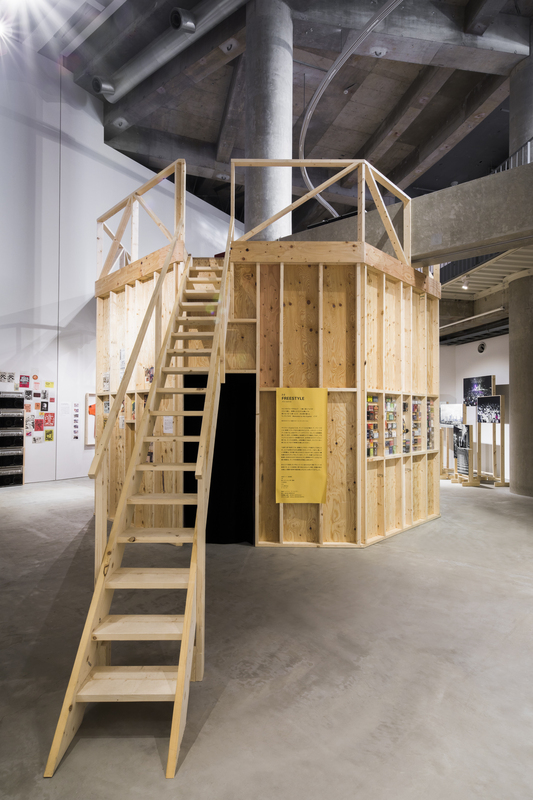 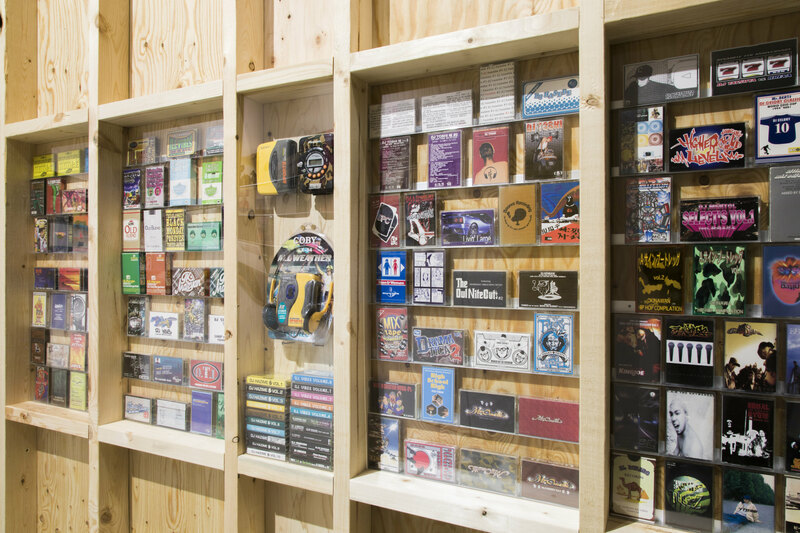 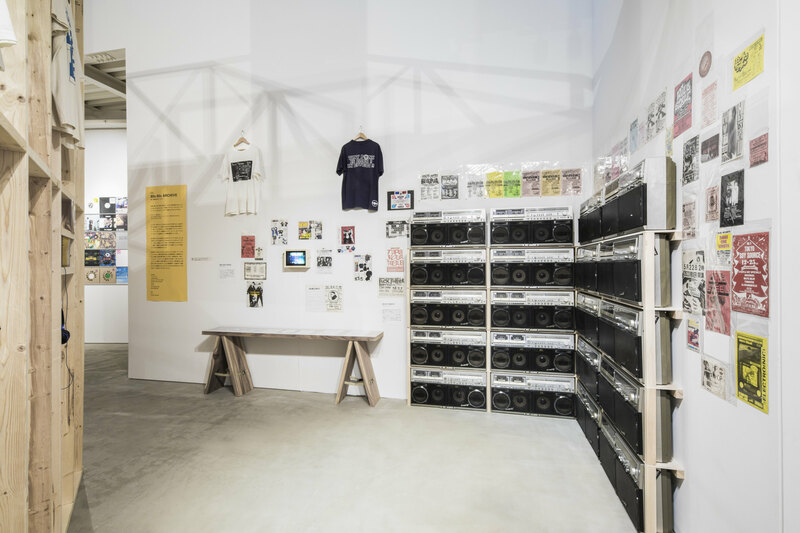 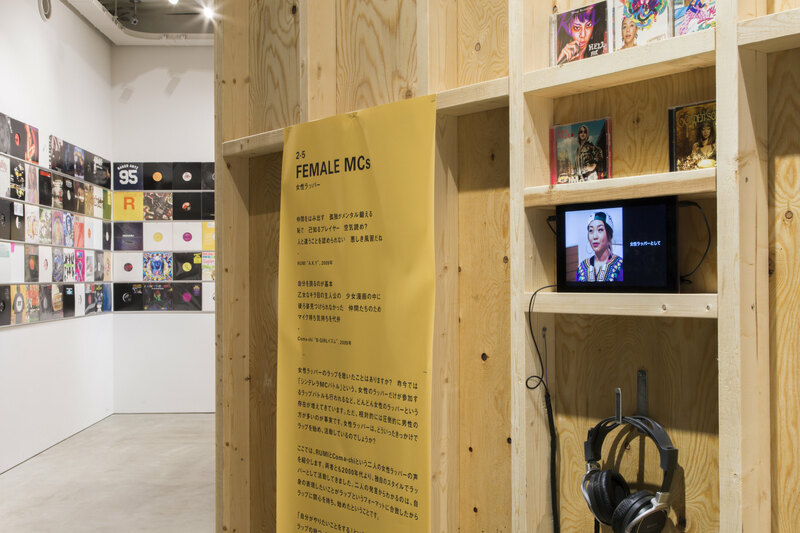 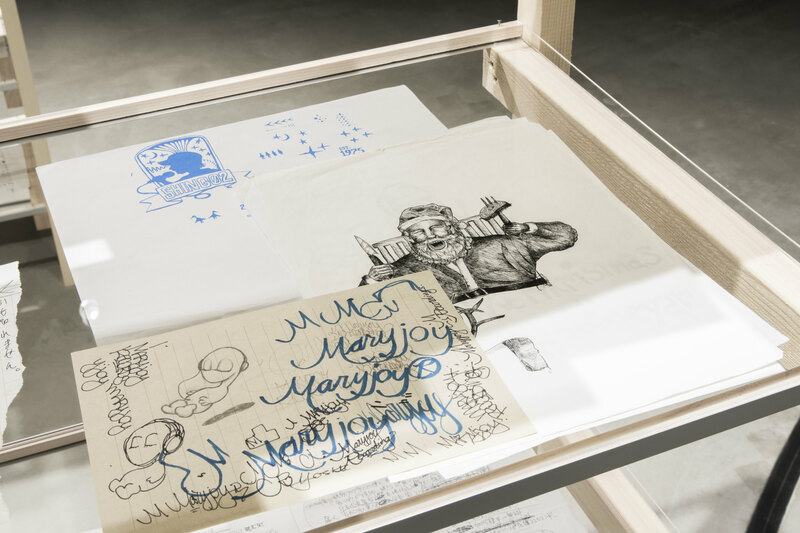 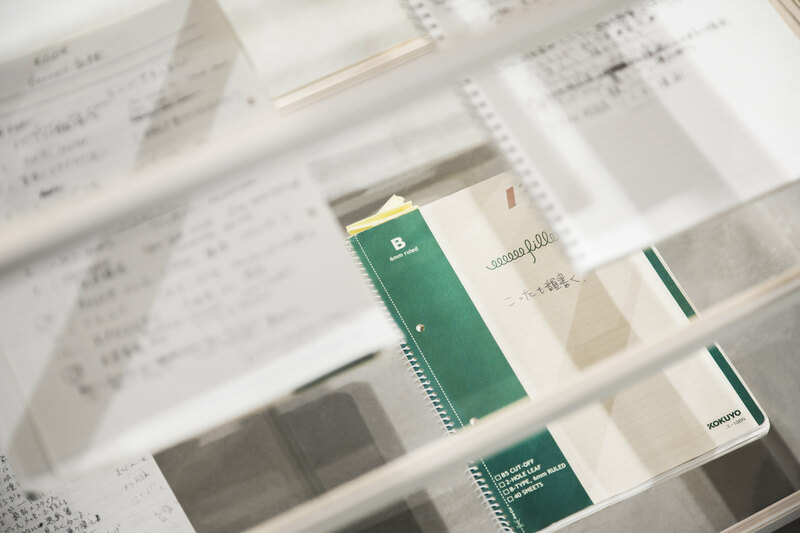 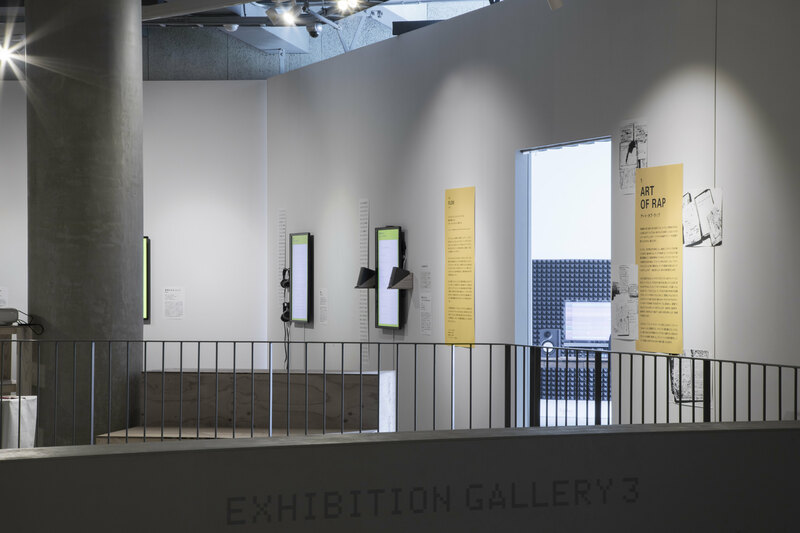 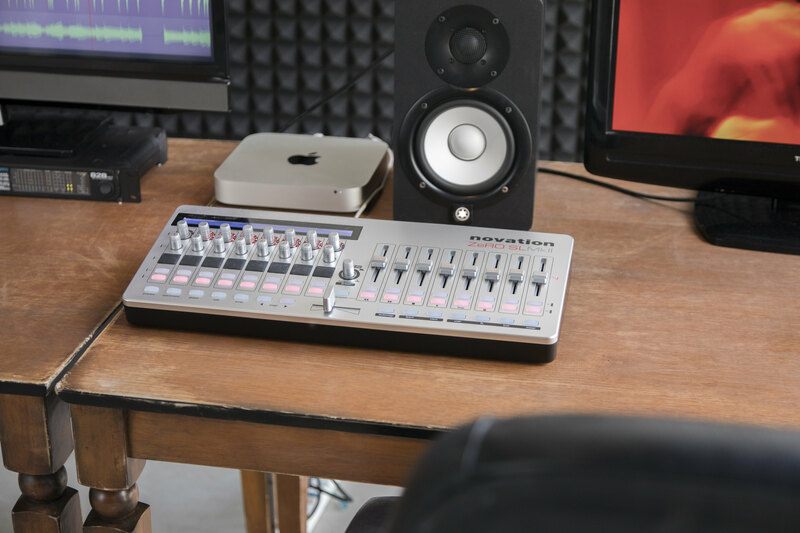 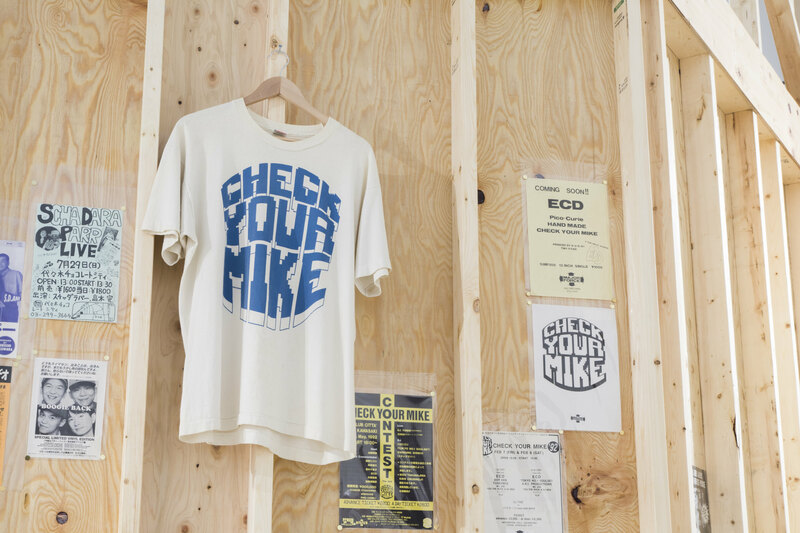 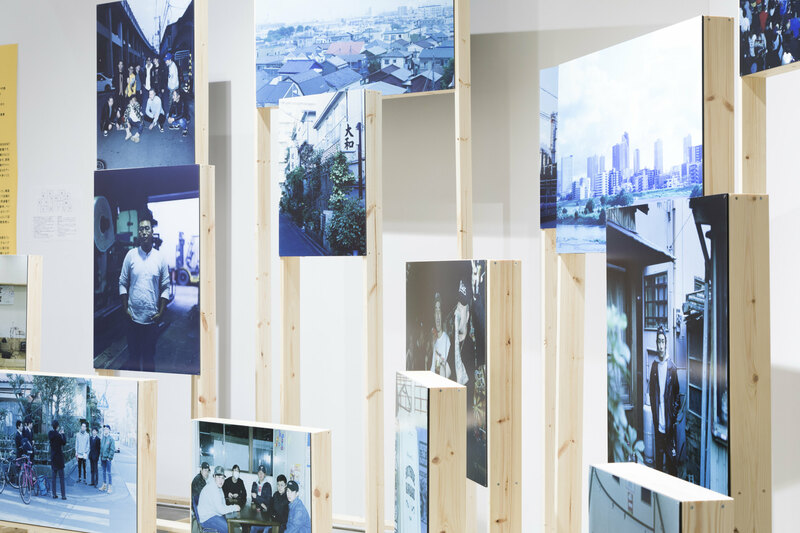 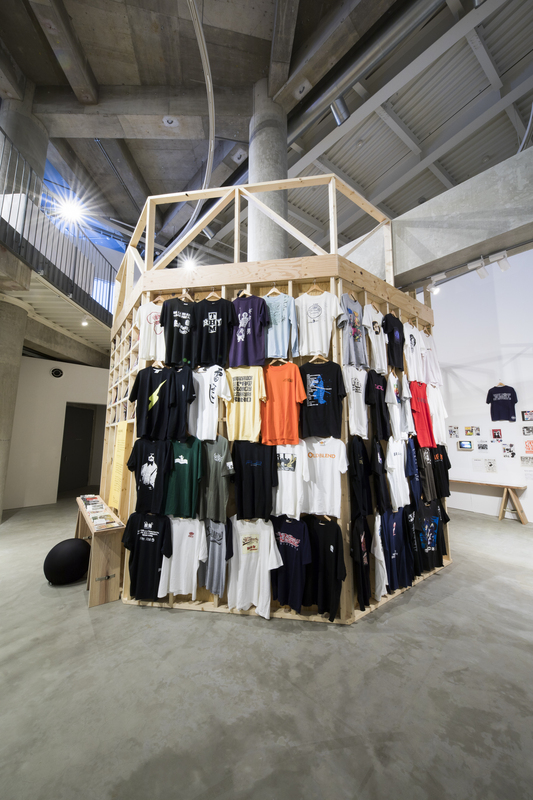 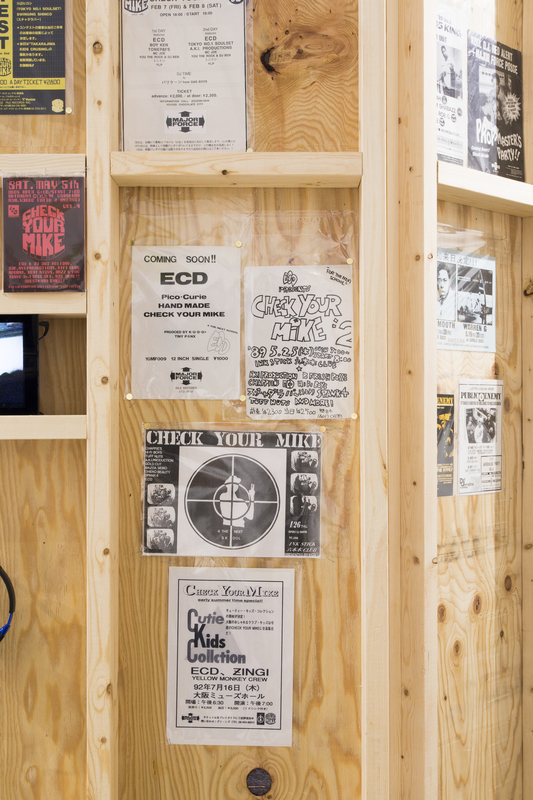 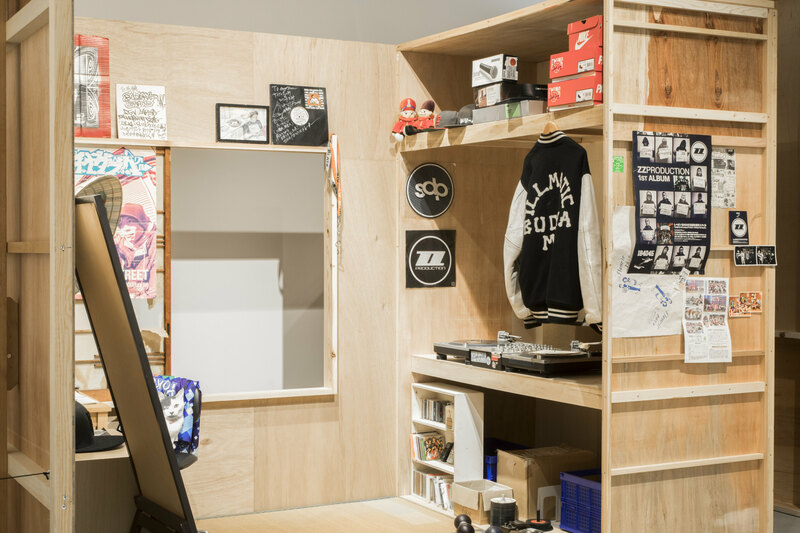 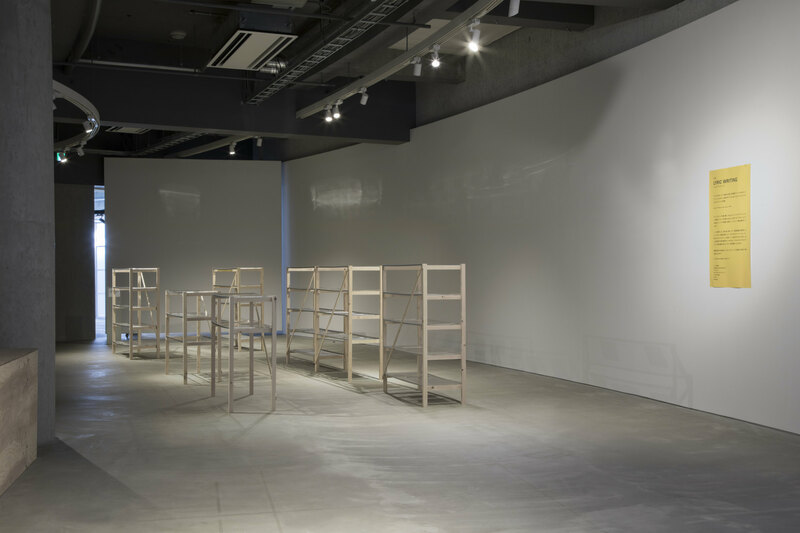 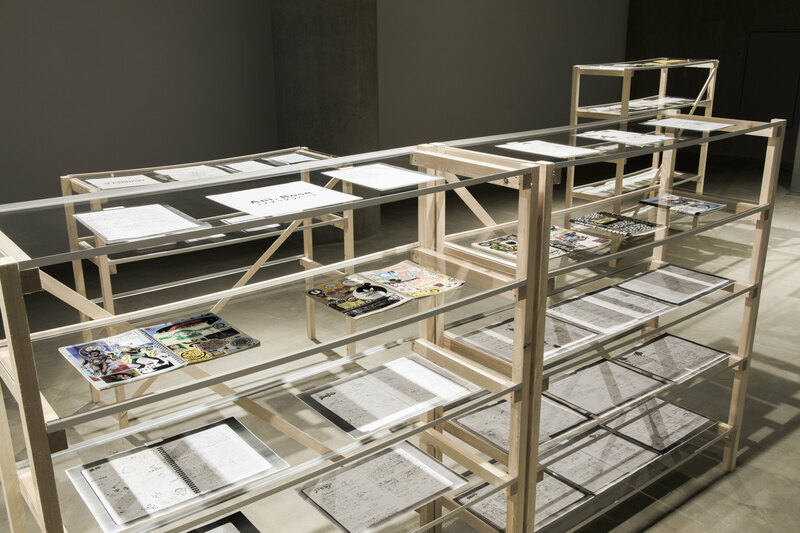 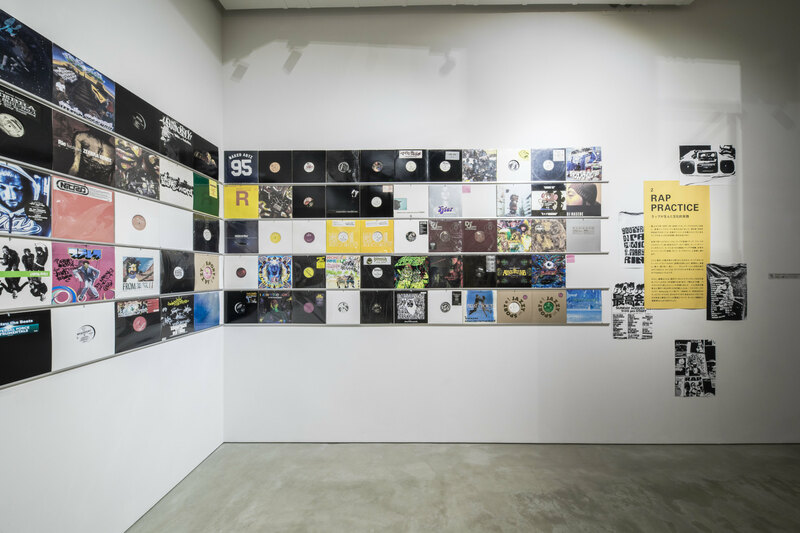 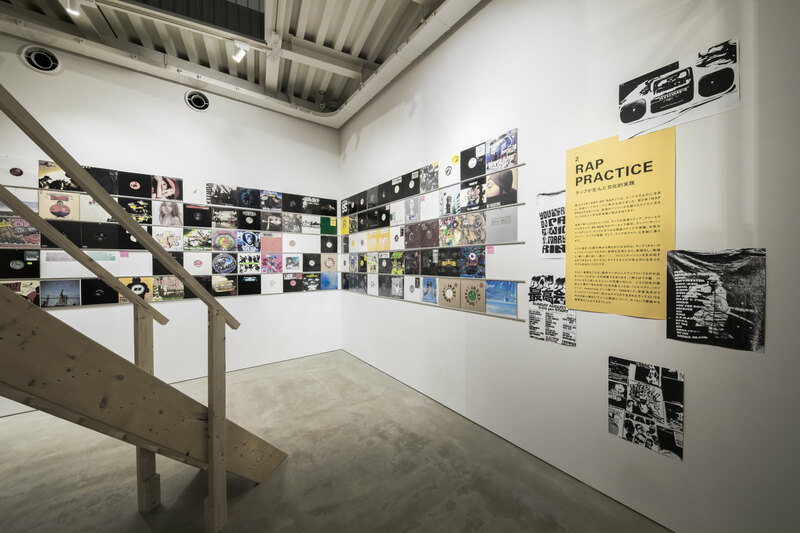 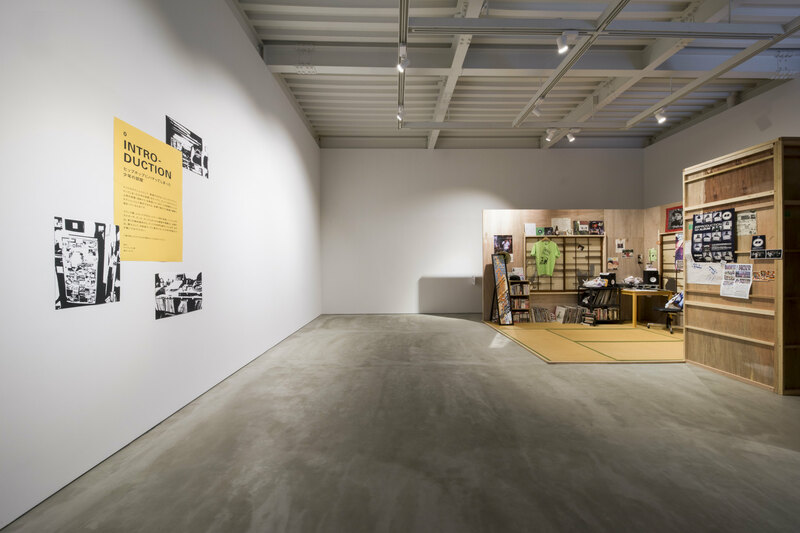 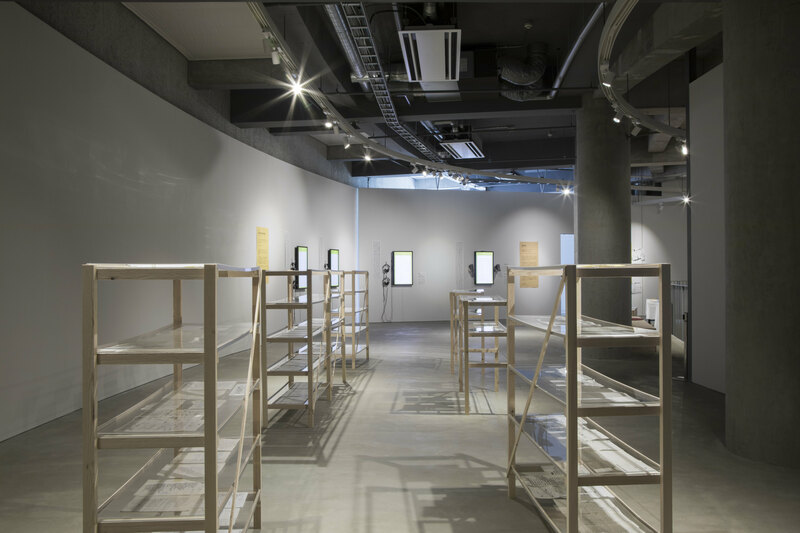 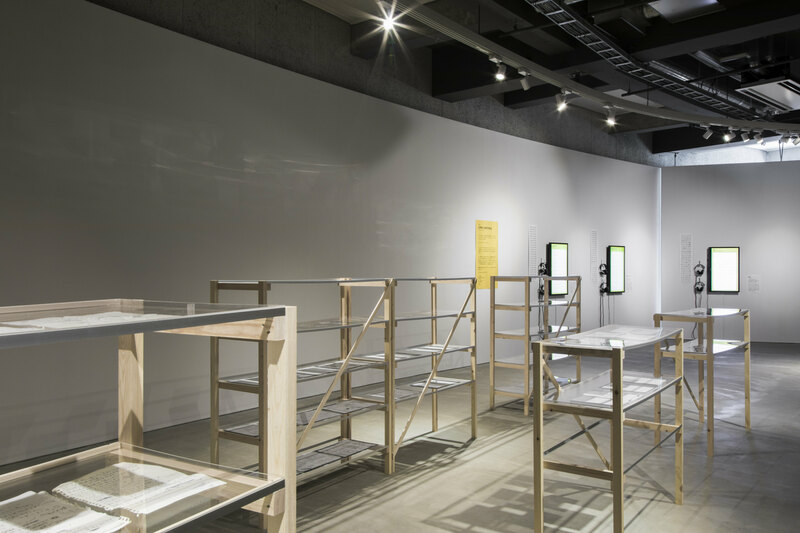 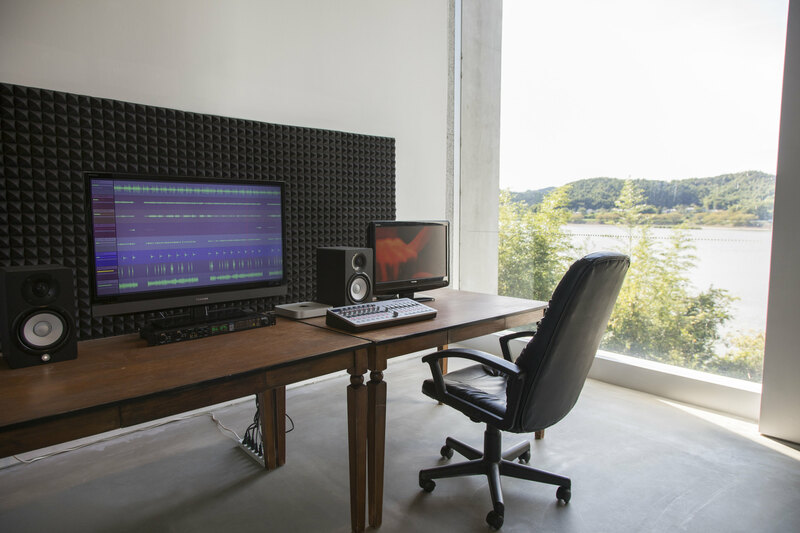 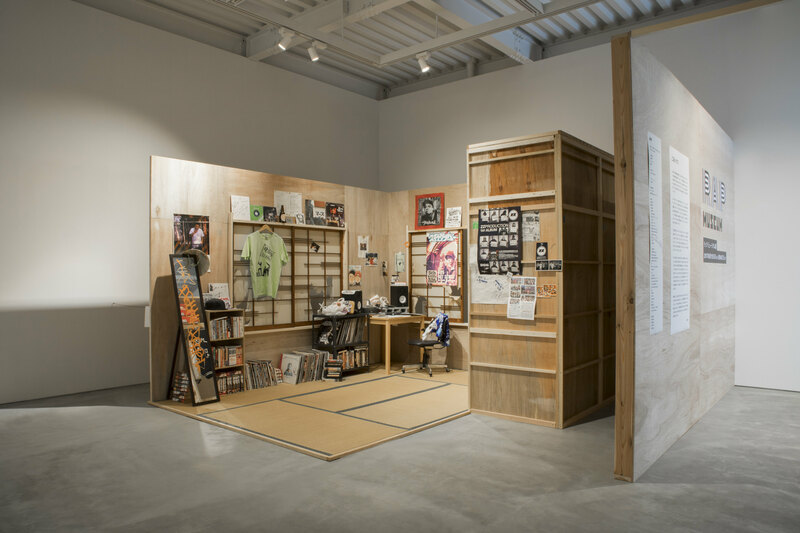 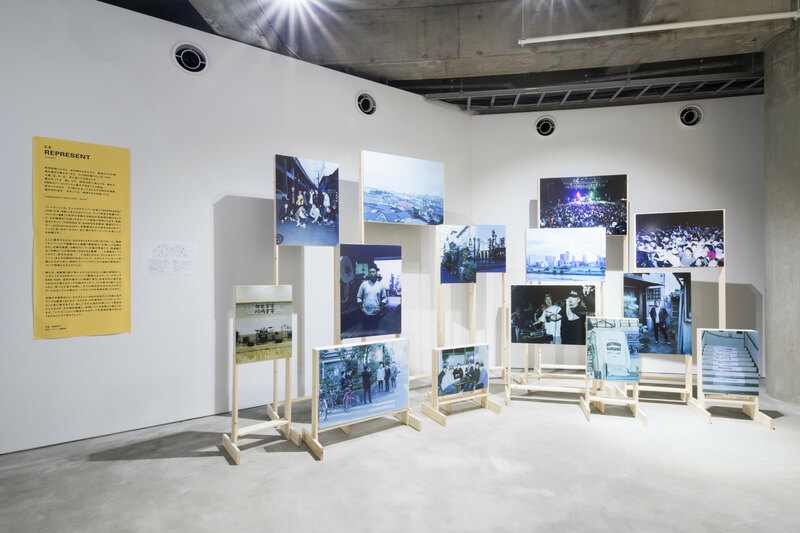 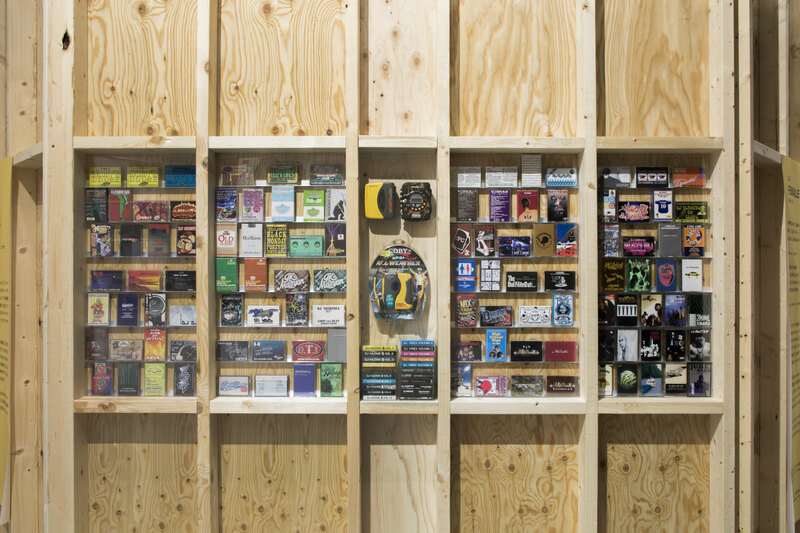 The exhibition analyses the structure of rap music as a cultural practice, presenting surrounding elements derived from rap, such as video, printed matter, photographs and texts. 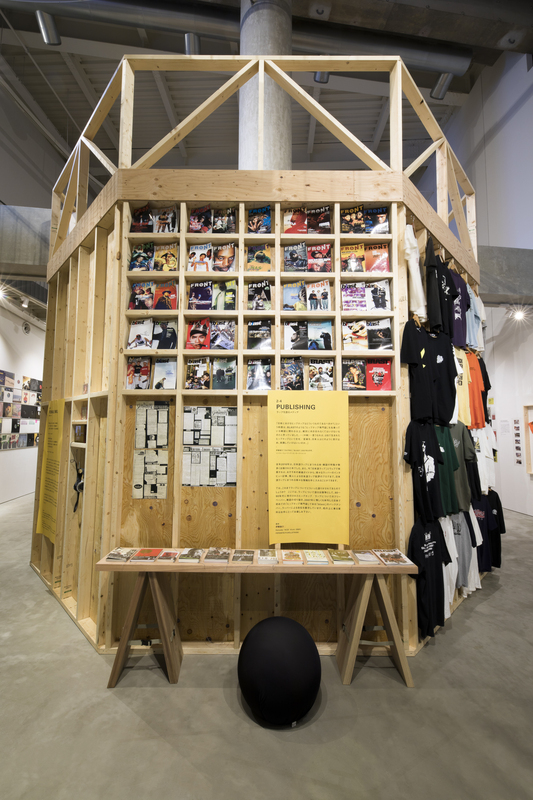 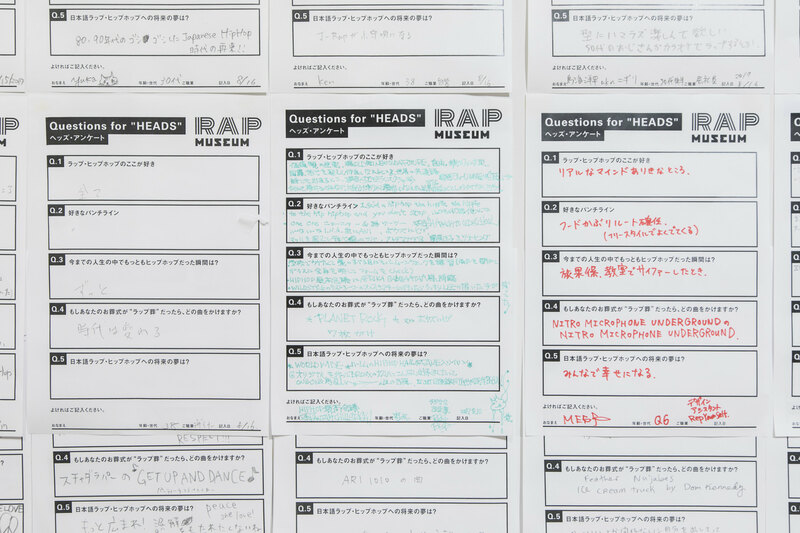 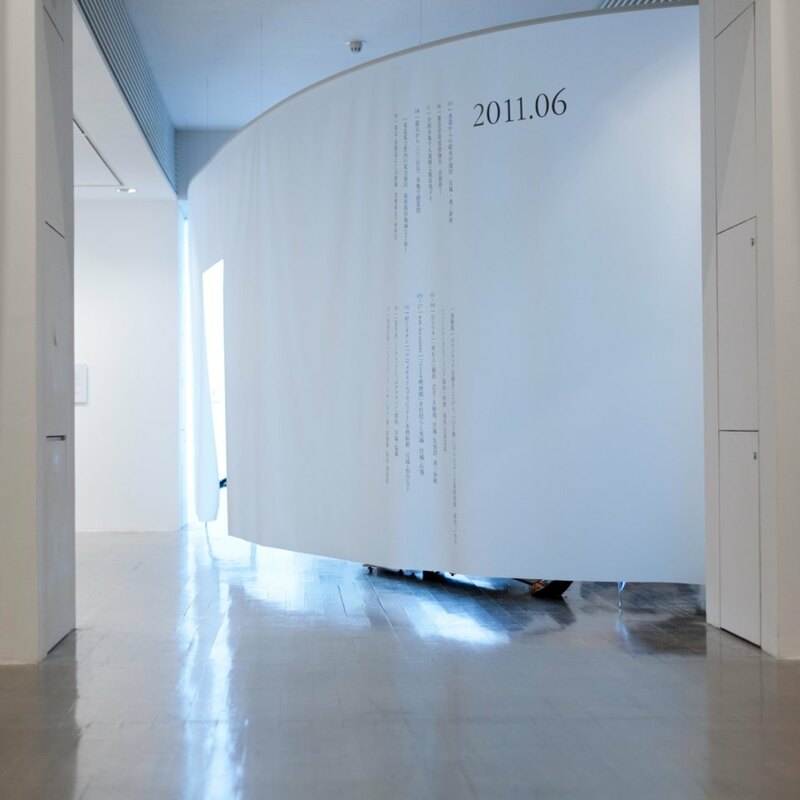 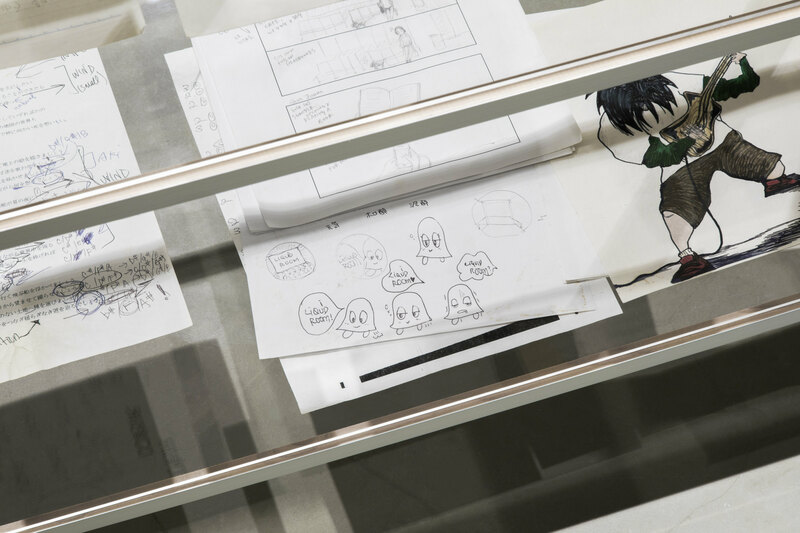 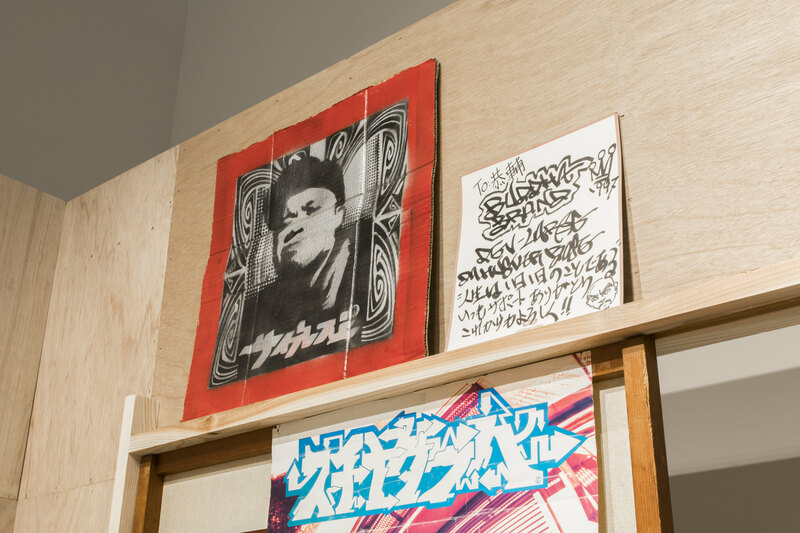 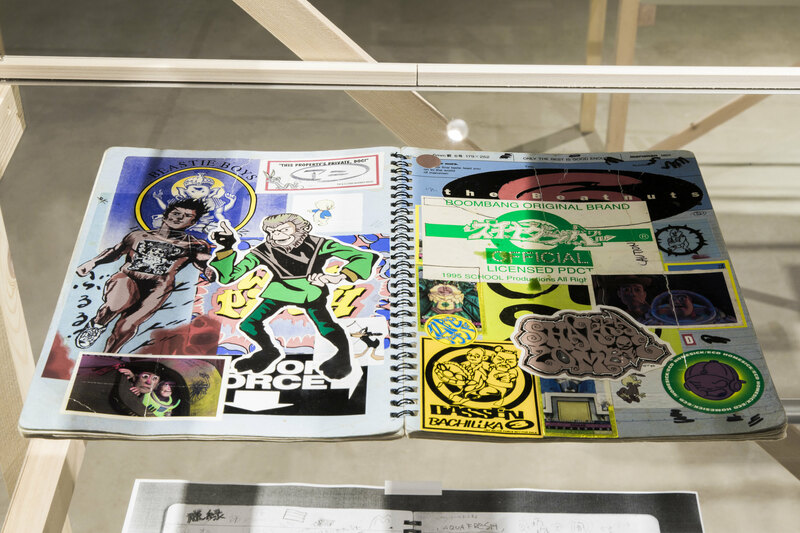 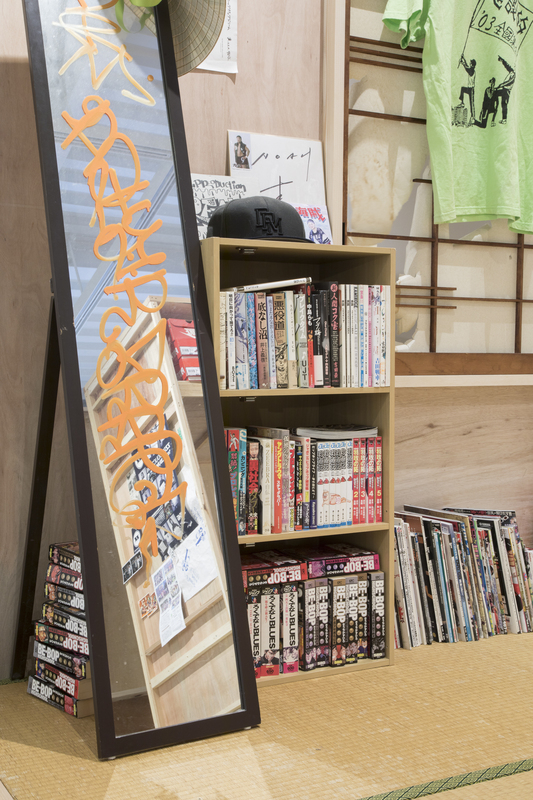 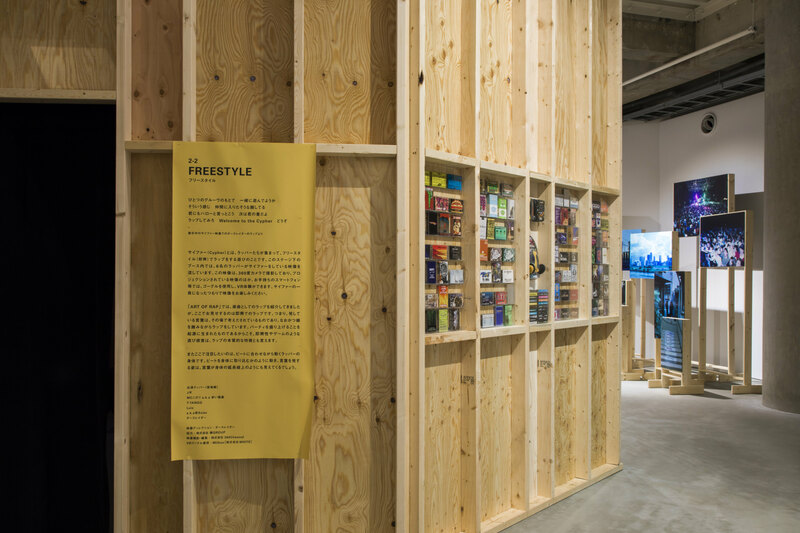 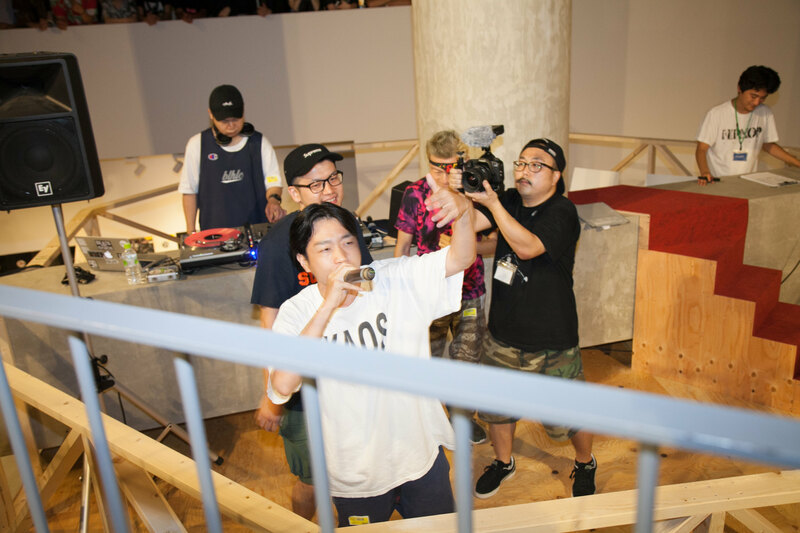 In parallel to the exhibition contents, diverse Japanese rappers’ events were organised on a regular basis during the exhibition period, which included rap workshops for children. 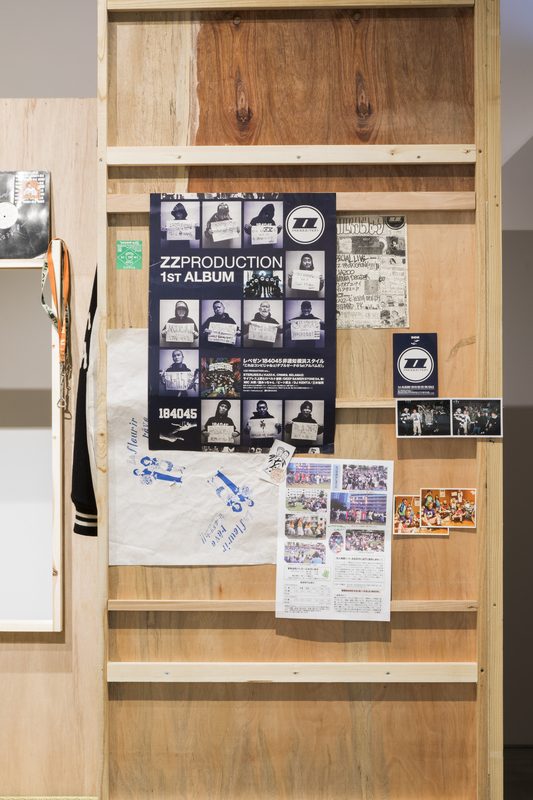 The exhibition scenography was defined by a stage for MC battles. 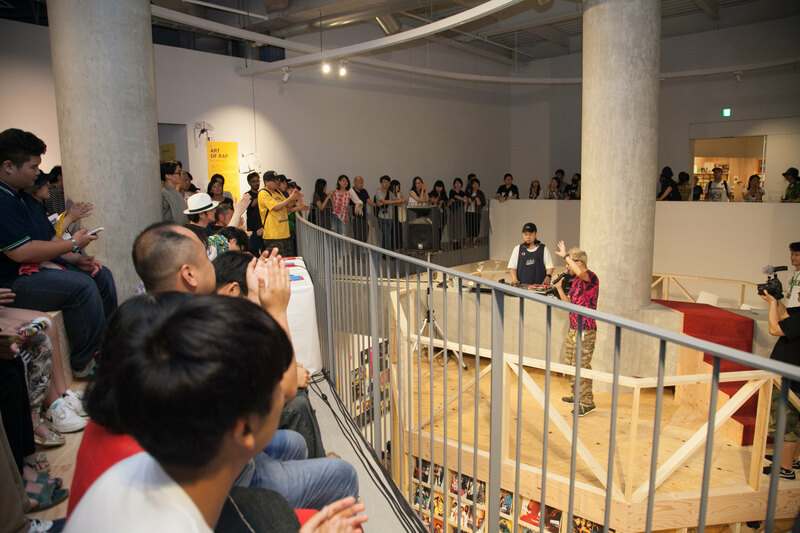 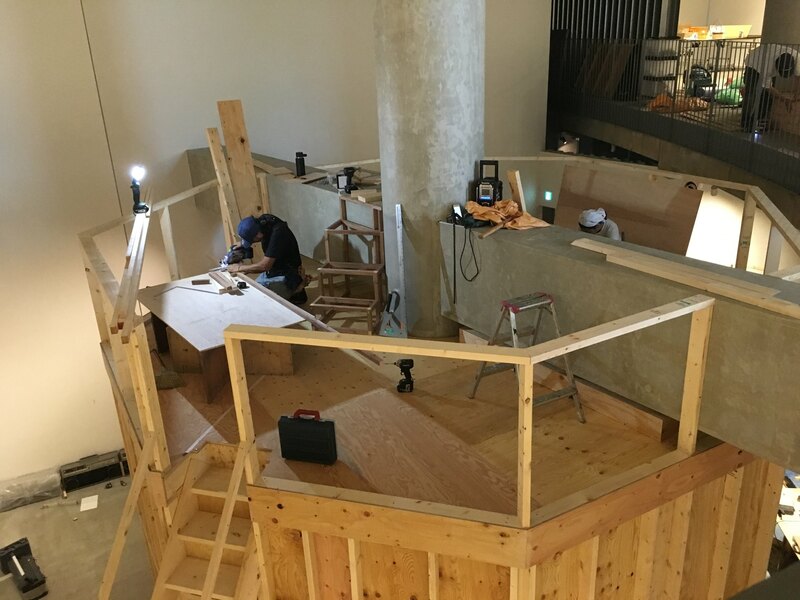 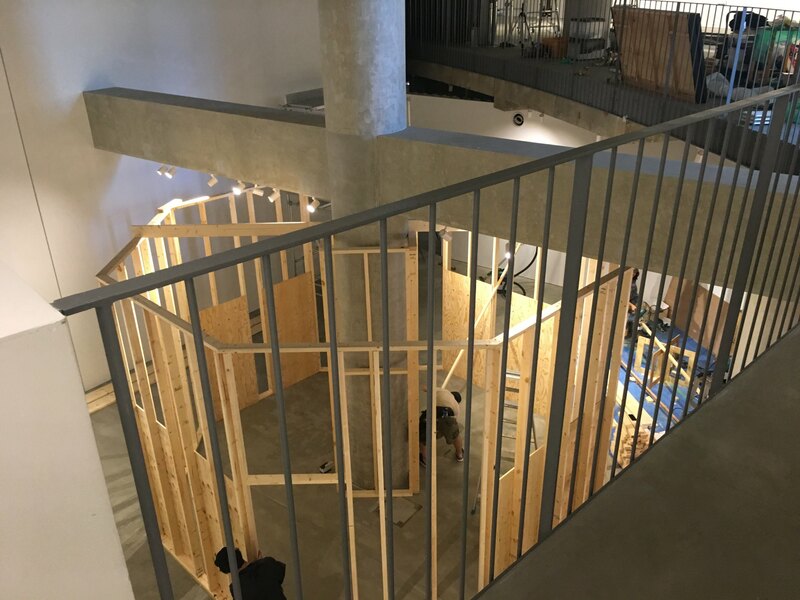 At the double-height space in the central space of the museum, a large MC battle stage was installed. 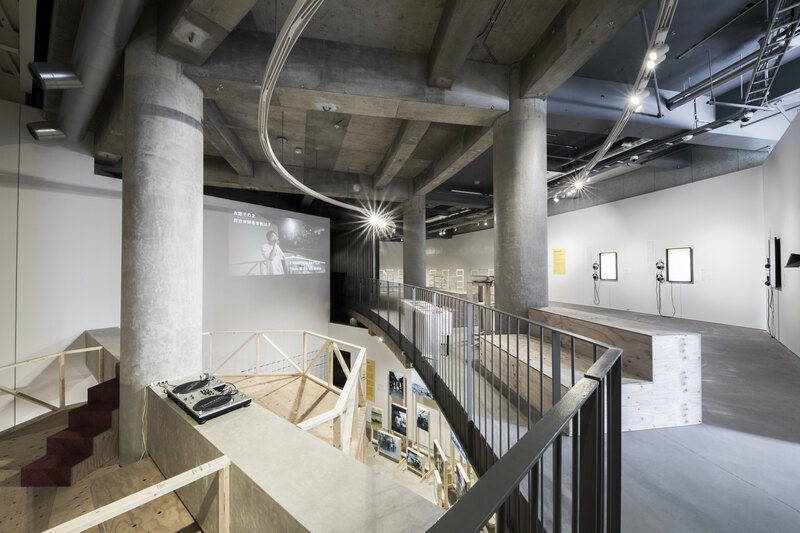 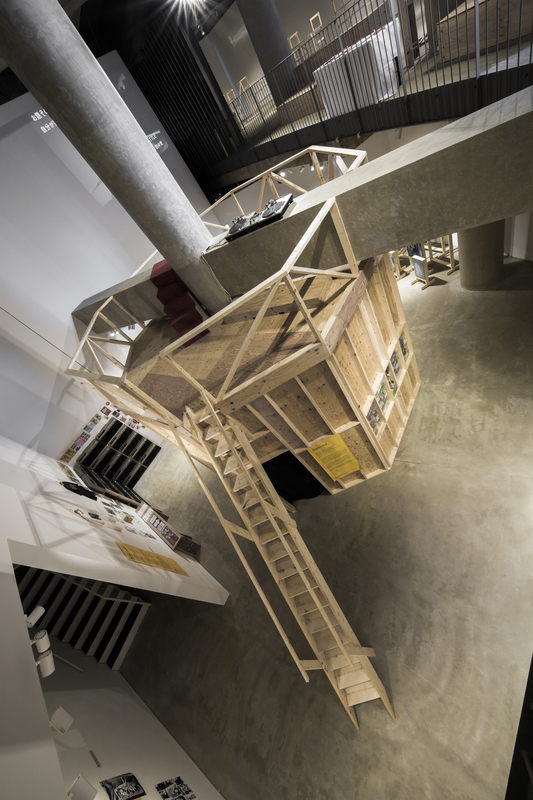 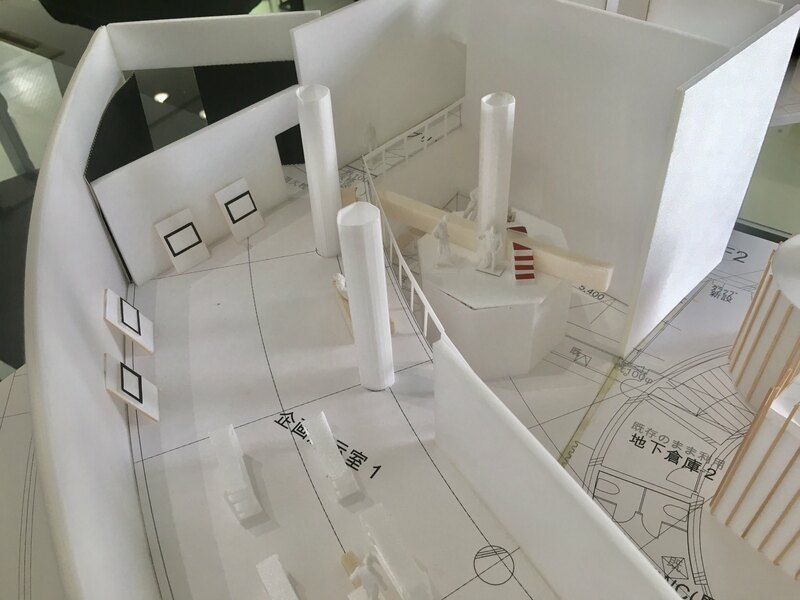 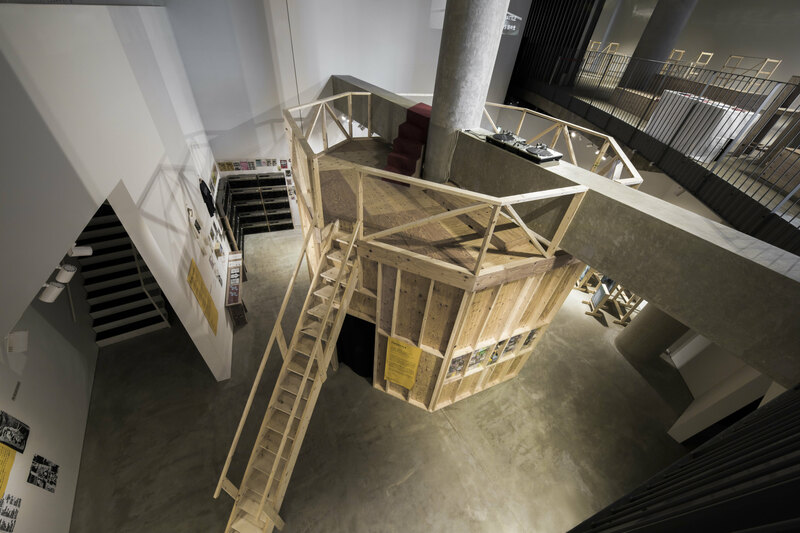 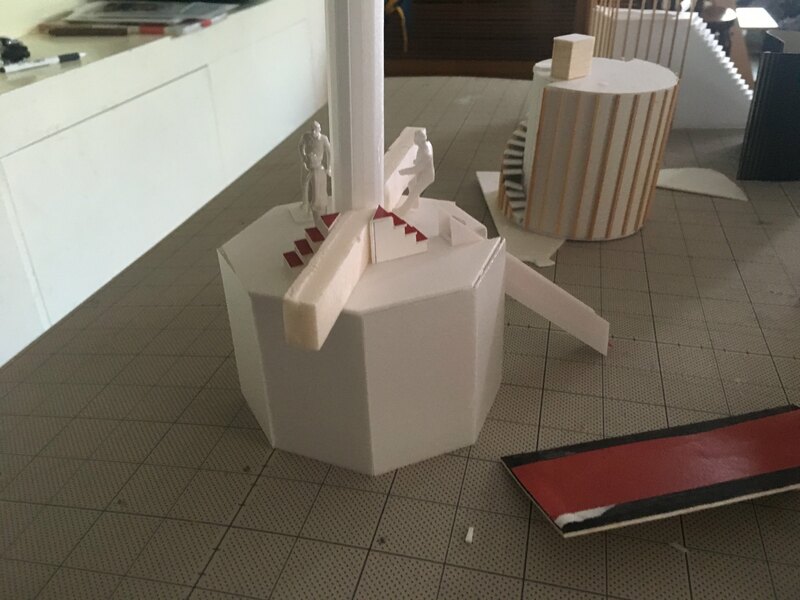 The architectural structure of the museum, such as existing beams running through the space, supported DJ booths. 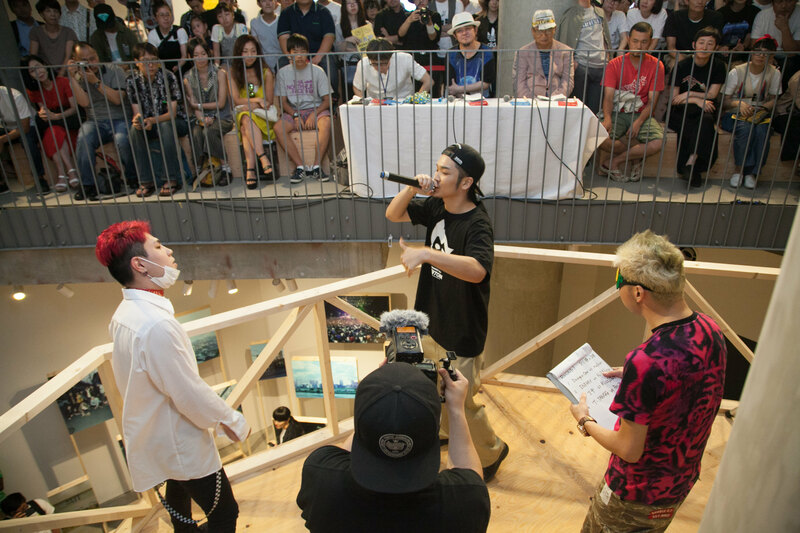 The audience could observe them from the upper floor. 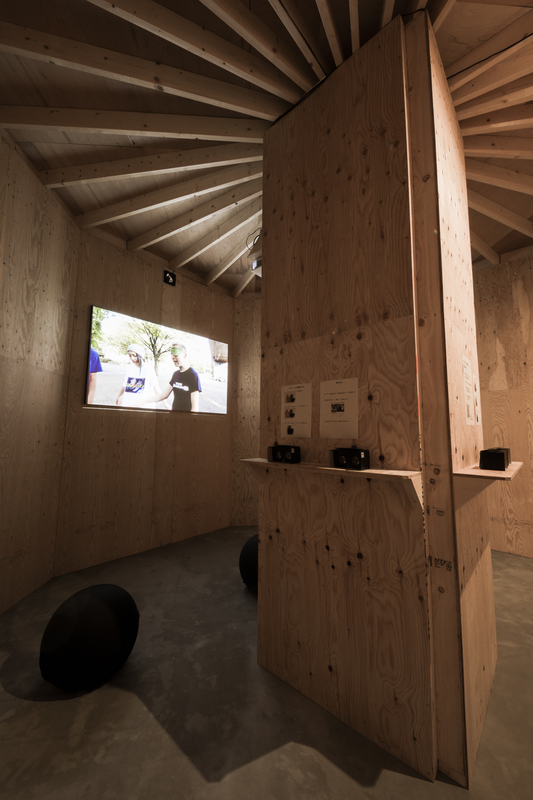 In the interior space beneath the stage, a VR video room was arranged to experience Cypher. 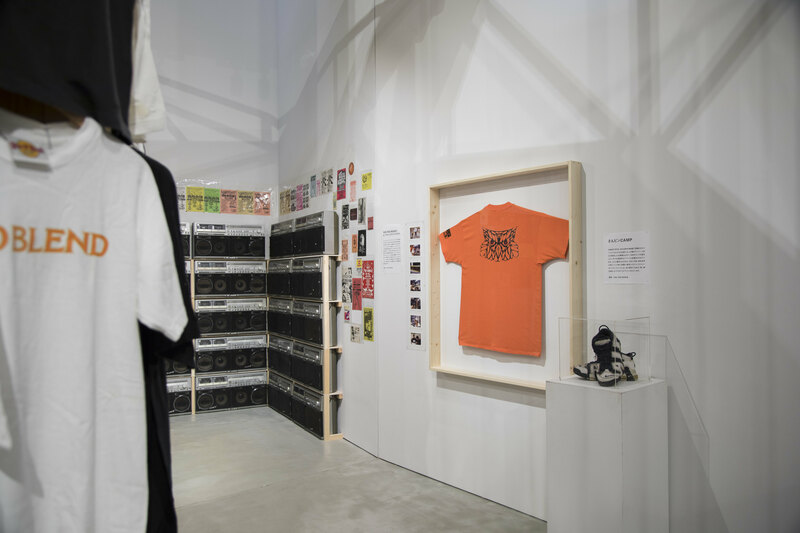 Exhibition focuses on cultural practices.